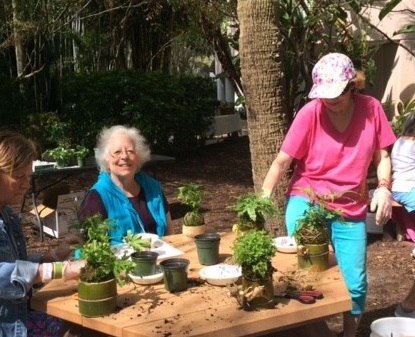 On a recent sunny Saturday, The Ringling held a Bayfront Gardens Workshop about the art of kokedama. 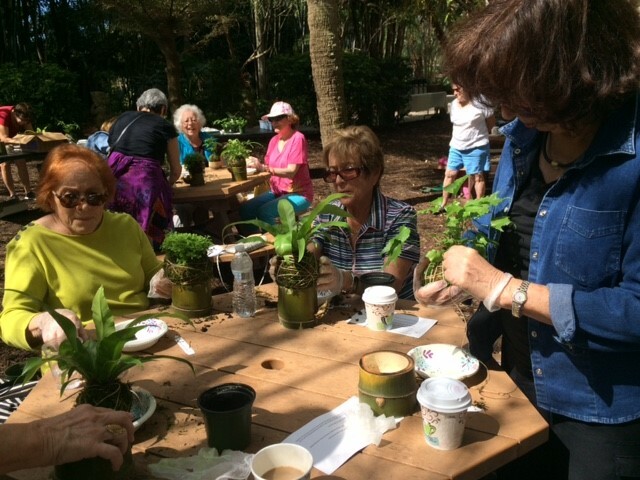 A group of 20 enjoyed a hands-on experience creating kokedama. 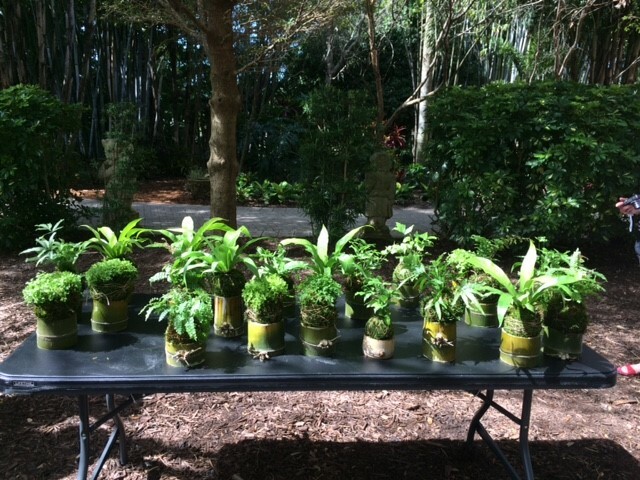 The bamboo cups that held the finished kokedama were actually grown and cut here in The Ringling Bayfront Gardens. Kokedama is a variant of Bonsai in Japan. In Japanese, kokedema translates to moss-ball—koke, meaning moss, and dama, meaning ball. It is the art of binding plants into a green, mossy ball, which dates back centuries to the Edo era in Japan (1603-1868 CE). It is ideal for small spaces, and never needs to be repotted. Cut two 18” pieces of string and lay them at right angles in the bowl. Place the damp moss pieces in the bottom, and layer up the sides of the bowl, leaving no open spaces. Remove your plant from its pot, loosen the roots, and gently allow the pot soil to shake loose. Form a ball of soil mixture around the plant roots, orange to grapefruit in size, depending on the size of the root mass. Carefully place the ball into the bowl, holding the ball as you gently form the moss around it. Wrap one piece of string firmly around the moss ball and tie it off near the top of the ball. Repeat the process with the other string. Leave the tied ends free. Firmly wrap the entire ball with string, tying off with the longer loose ends from step 6. Determine when your kokedama needs to be watered by feeling the weight of the ball. If it is heavy it does not need to be watered. If it is light weight, soak it or mist it. 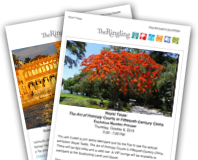 It is important to follow the requirements for the particular plant that you have chosen. Soaking: Place your kokedama in a large bowl of room temperature water, plant side up. Push the moss ball down into the water so that it is fully submerged and absorbs water. Allow it to soak for 10 – 25 minutes, or until fully saturated. Remove the kokedama from the water, and gently squeeze the moss ball to allow excess water to drain. 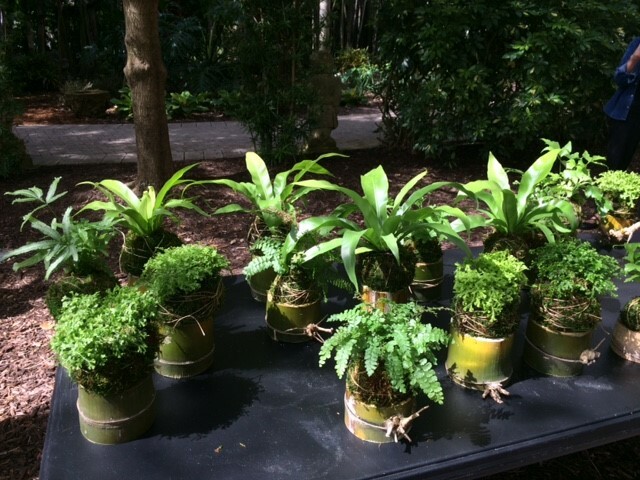 Misting: You can mist your kokedama to create a humid, tropical environment. Mist the foliage in the morning when the light is not as harsh to avoid burning the leaves. Fertilizing: You should follow fertilizing requirements for your particular plant, or at least fertilize every 6 months. Use half the amount of liquid fertilizer suggested, and add it when you are watering. Just like any other houseplant, a kokedama can be over or under watered. You can tell that your plant is under-watered when the leaves are turning brown, or begin to become rough or crispy at the tips, or if the plant is wilting. You can tell that you are over-watering your kokedama if the stems are turning black at the base or neck of the plant, and if you see yellow leaves that fall off easily. 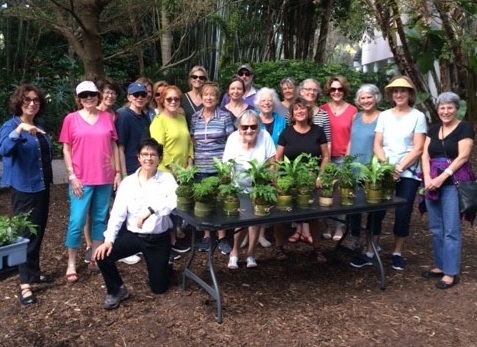 Kokedama Bayfront Gardens Workshop participants with Curator of the Mable Ringling Rose Garden Karen Smith.